Your coffee maker is supposed to be an object of salvation, a safe harbor from the usual shitstorm of the morning. 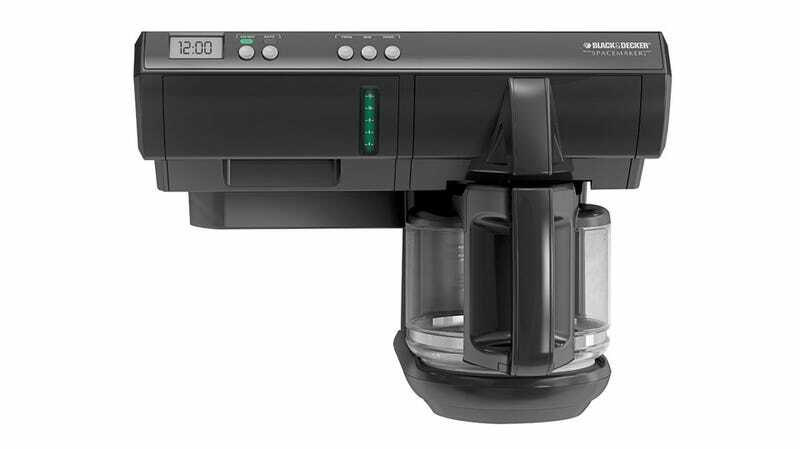 But that may not be so for owners of a popular coffee maker sold by Black & Decker, which is now being recalled because 68 people have reported suffering from cuts and burns after the handle broke while they were using it. Ouch. That's certainly not the eye-opener you'd hope for from a coffee pot. In case you are wondering if your precious supply of wake-up juice is in danger, it's the under-cabinet models from Black & Decker's Spacemaker line that are affected. There are nine models involved, and officials say there are nearly 160,000 of these coffee makers sold. Should you be one of the unlucky ones who bought this injury machine, you are advised to stop using it immediately and get the free replacement being offered by the company. Or maybe its just better to crawl back into bed and stay put, safe from all the dangers the morning brings.